The Transformers movies are terrible, for the most part (fight me). Aside from the third film, I shed no tears over the franchise going down the toilet, at least, in the incarnation it was in. Michael Bay exploded one too many incoherent plot points and action sequences, so when I heard plans for the Transformers Universe were being put on indefinite hold, I felt no pain. However, one of the few shining points in those movies was the yellow and gold autobot, Bumblebee. With a damaged voice-computer-jargon-thingy, he was only able to audibly communicate through song lyrics. 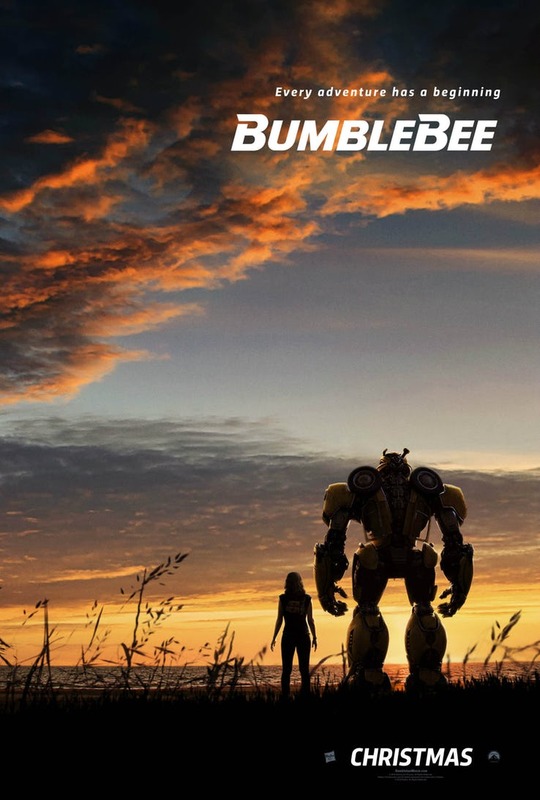 Thankfully, the Bumblebee movie that was already in production when Paramount scrapped their other plans, finished production and we got our first glimpse of the teaser trailer. The movie takes place around 1987 and follows Hailee Steinfeld's character, Charlie, as a soon-to-be 18 year old mechanic in California. She finds an old VW Bug and we get Transformers: The Iron Giant, basically. I'm pretty Transformer'd out, but since this one isn't directed by Bay and it's the first to be written by a woman, Christina Hodson, I'll give it a shot and let the cards fall where they may. An hour or so ago, Sony dropped the full trailer for Spider-Man: Into the Spider-Verse. The trailer makes it clear that this movie will rest heavily on the mentor-mentee relationship between a veteran Peter Parker (Jake Johnson) and fresh-faced Miles Morales (Shameik Moore). Parker, the original Spider-Man, will show Miles "how to be Spider-Man". Several villains make cameos in the trailer, along with Gwen Stacy (Hailee Steinfeld), as Spider-Gwen. As the title suggests, parallel universes will be at play here, with multiple Spider-Man characters. How many of them will show up remains to be seen. To be honest, I'd have loved Miles to get a live action movie, but you know how that goes..
On top of that, and this is just personal preference, I'm not a fan of the art style. Hopefully it'll grow on me with subsequent trailers, but it takes me out. Oh, well. We'll see how it goes.